Carl makes an appearance at the wonderful record store A-Musik in Koln. He’ll perform as part of Wolfgang Brauneis’s hosting of an a-musik radio show at dublab.de radio. 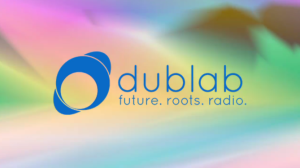 So folks in Koln can come down to the Eberplatz to watch live, others can tune in to dublab.de to listen! Posted in 2018-09 Performances, Archives, Internet Events. Tagged NOT-RM. I’ll host a two-hour tribute to my friend and eating companion Jonathan Gold on Dublab.com. As you know, I name all of my tracks after restaurants I like, and as a Los Angeles native who now lives in Tokyo, more than 60% of my titles are restaurants that Gold had reviewed. During this broadcast, we will hear some of those pieces and remember some of those words. With luck, some special guests will join us too! Posted in 2018-08 Performances, Archives, Internet Events. Tagged NOT-RM. My Fireside Chat w/ Mark ‘Frosty’ McNeill is premiering on Red Bull Radio next Thursday, Jan 11th, 9 AM EST and will re-run at 9 PM EST, as well as several other times over the next couple of weeks. You can check the current schedule here: https://www.redbullradio.com/schedule . It is always fun to be on the interviewee side of the microphone. Please try to tune in! Posted in 2018-01 Performances, Archives, Internet Events. Tagged NOT-RM. Posted in 2017-02 Performances, Archives, Internet Events. Tagged NOT-RM. Carl in conversation with Jan Stricker from The Lake Radio, live on the internet from 20h00-21h00 (Central Europe) [2PM-3PM (New York 27h00-28h00 (Japan)]. Music included! Broadcasting from Copenhagen to the world, The Lake is on air 24 hours daily at www.thelakeradio.com. The Lake aims to be the anti-thesis of commercial radio. Its function is to serve as a platform for experimental and inspiring music and sounds, without playlists, boundaries or limitations. The carefully curated library spans all decades of recorded audio, crossing geographical borders, languages and genres. Posted in Archives, Internet Events. Tagged NOT-RM. Carl on the air on Radio Panik, originating out Belgium at 105.4 mHz and available world wide live via the internet and later via podcast. Carl will be interrogated for two hours by Nico Bogaerts, long time programmer and radio producer. Radio Panik can be streamed from their home page at http://www.radiopanik.org/. Original broadcast will take place September 20 from 20h00-21h00 (Central Europe) [2PM-3PM (New York 27h00-28h00 (Japan)]. Music included! Posted in 2016-09 Performances, Archives, Internet Events. Tagged NOT-RM. Posted in 2016年02月 パフォーマンス, Archives, Internet Events. Tagged JPOST. Posted in 2016-02 Performances, Archives, Internet Events. 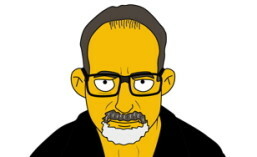 Carl Stone will be summarily interrogated by Professor Cantaloupe on his weekly program Glossolalia on FM station KXLU. He may also be convinced to do a live in-studio recording. The station can be heard via terrestrial radio at 88.9 FM, in the Los Angeles area, or via live streaming anywhere in the world at http://kxlu.com/live-stream/. Posted in 2016-03 Performances, Archives, Internet Events.